For the first time in Turkey, political parties were allowed to build electoral alliances for parliamentary elections, and curious alliances did enter the political stage. Especially the “Nation Alliance” (Millet İttifakı) which was initiated by the centre-left main apposition CHP, the nationalist IYI Party and the small religious party SP constitute an interesting case. This ideologically hybrid alliance aimed to attract different segments of the society in order to overcome the AKP’s majority in parliament. The Nation Alliance, however, won only 33,94% whereas the so called “People’s Alliance (Cumhur İttifakı)” composed of the AKP and the MHP gained 53,66%. This contribution to the blog aims to analyse whether there is more behind the Nation Alliance than short-term election tactics. The 1982 constitution and the change in the electoral law in 1987 stipulated a 10% threshold in Turkish general elections. It is the highest in any election system and it has often been referred to as “the world’s most unfair election system”. Small political parties have long tried to overcome or work around this barrier. The smaller pro-Kurdish parties, for example, did not participate in the elections as parties but with independent candidates, who were not subject to the parliamentary threshold. With the new option of electoral alliances the political parties were given an alternative possibility to overcome this threshold in the June 24 2018 parliamentary elections. For this reason, five parties formed two different alliances: The People’s Alliance, composed of the Justice and Development Party (AKP) and the Nationalist Movement Party (MHP); and the Nation Alliance, including the Republican People’s Party (CHP), IYI Party, and the Felicity Party (SP). Due to the AKP’s and the MHP’s shared ideological support for the so-called Turkish-Islam Synthesis, their collaboration was no surprise. Beyond this common point between the AKP and the MHP, another strategic reason may have led to this collaboration: Especially the MHP’s challenger and founder of the IYI Party Akşener voiced the assumption that this alliance was built as a strategy of the AKP and the MHP to ensure the AKP’s dominance via the MHP’s presence in parliament, because opinion polls had given cause to expect that the MHP would lose a substantial number of seats to its splinter party, the IYI Party. The Nation Alliance: Puzzling Combination of Ideologies? Electoral alliances are most often built by the opposition and motivated by the desire to outplay the government. One can argue that this was also the case for the Nation Alliance; however, the question remains how parties with so different ideologies could actually work together. The wide spectrum of actors and their different political goals made the Nation Alliance dubious: For example, the SP is a radical religious party, the CHP is Turkey’s traditional secular stronghold; and the IYI Party is basically nationalist. According to the CHP MP Erdoğan Toprak the expectation was that such contrasts would not matter too much, as “voters do not care much about the identities or ideologies … because they have a different priority”, namely overcoming the AKP and Erdoğan’s power. Grave differences were therefore not even concealed in the election statements of the involved parties. Especially regarding the Kurdish issue, fundamental differences were evident: Even though the IYI Party’s election statement quotes the pluralist and participatory democracy and states that “the differences in the country are perceived as a cultural richness”, the “Turkish nation” and “Turkish people” are addressed rather than using ethnically inclusive terms. The CHP – as usual – avoided any terminology that refers to ethnic differences by focusing on the “citizenry of the Turkish Republic”. The SP finally emphasized the “common religion” of Turks and Kurds. Moreover, in the IYI Party’s election statement the Kurdish issue is only referred to as the “East and Southeast Problem”. The CHP defined it as the “Kurdish Issue” and promised to “find a solution to the problem on the basis of equal citizenship”. The SP also mentions a “Kurdish Issue” but declines to recognize a problem. According to the SP’s election statement “Turks and Kurds actually do not have problems with each other”. Nonetheless, the two bigger partners in the Nation Alliance also managed to find some common ground in Turkish nationalism in order to attract nationalist votes. Even though İnce produced mainly democratic and inclusive statements throughout the election process, Akşener and İnce’s exclusionary statements regarding the Syrian refugees were almost identical in their wording: Akşener commented in one meeting that “we will send four million Syrians back to their country…everybody is happy in their homeland”; and similarly İnce stated that “Four million Syrians will be sent with celebrations”. He also said that “Turkey is not a public kitchen” by comparing the conditions of Turkish citizens and Syrian refugees and prioritizing Turkish citizens: “the people of my country are unemployed”. In sum, it can be stated that the political positioning of the Nation Alliance was confusing and contradictory so that a stable political collaboration was not to be expected. This is probably one of the reasons why it could not attract more votes in the competition with the People’s Alliance, which was promoting stability in Turkey and whose members have more in common ideologically than the three very different partners. After the Alliance: before a next one? After the unsatisfactory results of the election, the three parties of the Nation Alliance made statements one after the other and announced that the alliance was over. The general argument was that there was no need for further collaboration since the alliance had only been built for the election. Internal tensions and intra-party conflicts followed –mainly in the CHP and the IYI Party: The CHP’s presidential candidate Muharrem İnce suggested that the party leader Kemal Kılıçdaroğlu should resign and leave the position to him. Kılıçdaroğlu commented on this as “political impoliteness”. The IYI Party experienced similar problems which resulted in Akşener’s recent stepping down from her post. It is still unclear how she will move on strategically. Both the CHP and the IYI Party declared their aims to assembly extraordinary party congresses in order to discuss the failure in the election and decide about new leaders who might shape the future directions of their parties. It remains hence an open question if the partners who joined the Nation Alliance will collaborate again when their internal problems are settled. All in all, when looking at the election result, it was obviously not convincing to merely lump together parties of rather different ideologies and electorate bases and trust that it is enough to focus on topic: defeating Erdoğan and the AKP. The political analyst and journalist Taha Akyol stated that the target group of the Nation Alliance was limited to well-developed urban areas and failed to address the daily struggles of the people in still developing areas of Turkey, surrounding for instance the labour market or wage increases. Moreover, the political vision to build an inclusive and pluralist democracy in Turkey can only be achieved by the inclusion of ethnic and religious minorities. 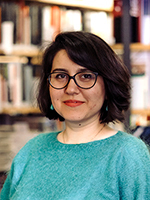 Sezer İdil Göğüş is a research associate in the Glocal Junctures department at PRIF. In her research, she focuses on i.a. transnational citizenship politics of the AKP and political socializations in Turkey.